English country house comfort. Caribbean charm. Five star cuisine in colonial plantation house. Located on the platinum west coast of Barbados, Cobblers Cove offers a haven of grace and tranquility to discerning travelers. 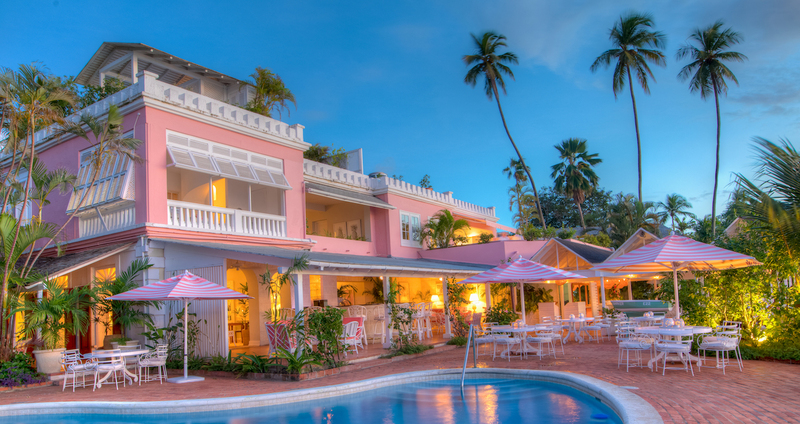 The beach side hotel has 40 suites, each individually decorated and open to the ocean and tropical garden surroundings. Serving the finest food on the island, The Camelot Restaurant is a destination in itself.